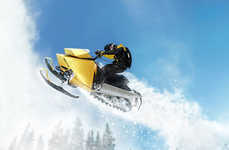 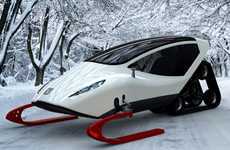 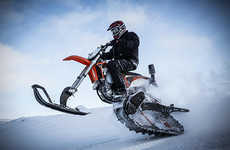 Rain Prisk Designs recently conceptualized a high-end snow-grooming machine called the Lamborghini Huracan Snowmobile. 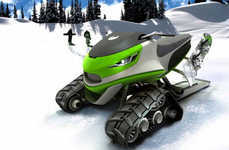 By combining a luxury sports car with a traditional snowmobile, the innovative concept vehicle brings a touch of elegance to the snow-covered landscape. 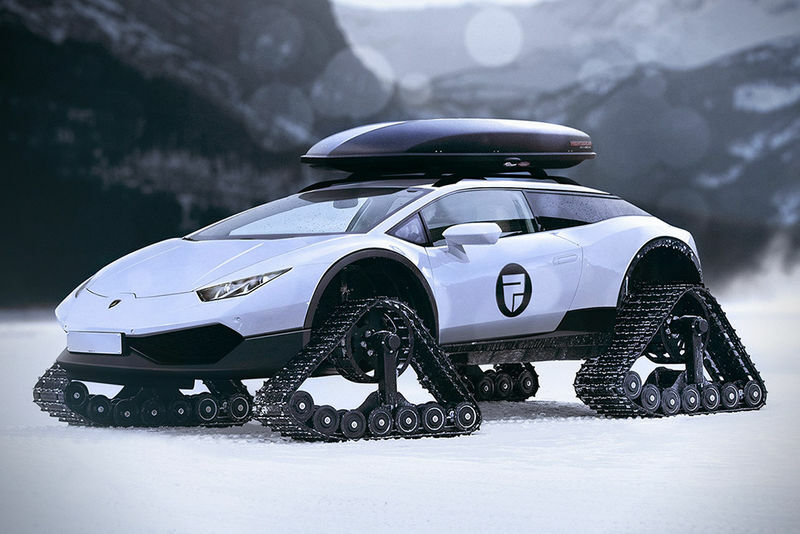 The Lamborghini Huracan Snowmobile is a concept vehicle that combines the body of the Lamborghini Huracan with the four tank treads found on a snowmobile. 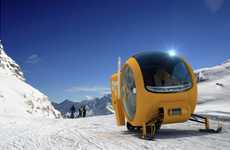 The replacement of wheels with tracks would allow the sports car to traverse everything from muddy terrain to frozen peaks. 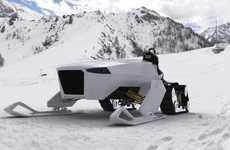 When combined with the Lamborghini Huracan's 5.2L naturally aspirated engine, the hybrid snowmobile would make it easier than ever for consumers to criss-cross the slopes in style. 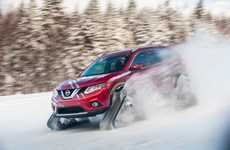 While the futuristic snowmobile may seem somewhat far-fetched, Nissan was able to achieve this very feat with the Rogue Warrior earlier this year.